Signed Avery S. Hoyt, Chief, Bureau of Entomology and Plant Quarantine. A C U R A DNI STATION. 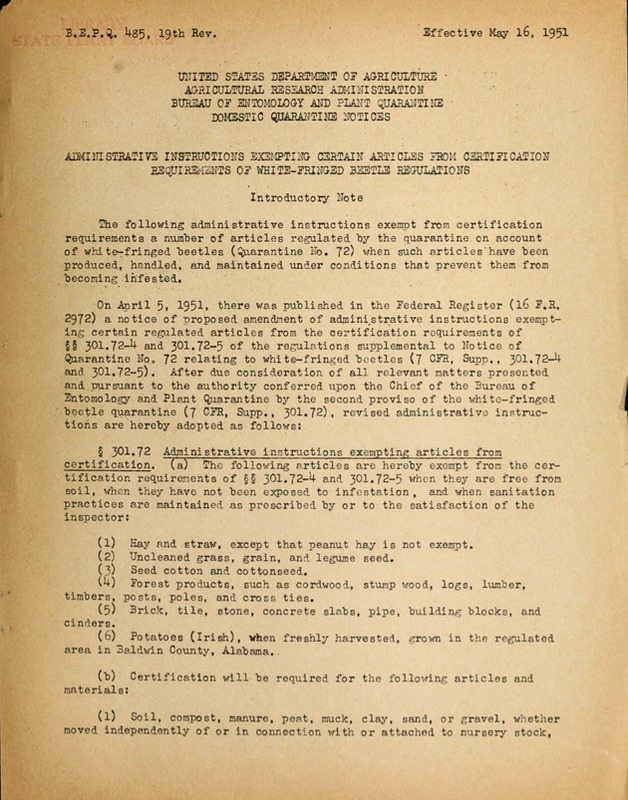 5, 1951, there was published in the Federal Register (16 P.R. and strrw, except that peanut hay is not exempt. leaned grass, grain, and legume seed. s, poles, and cross ties. cessed sand and gravel are not regulated). ( ) Plant crowns or roots for propagation. in the regulated area in Baldwin County, Alabama. 'rhen freshly harvested or uncured. (7) Peanut shells and peanuts in shells. (9) Scrap metal and Junk. Done at Washington, D. C., this 24th day of April 1951.